Our April Social Ride will be in partnership with Oracle State Park as part of their Earth Day celebration. Festivities begin around 9am and we’ll be hosting our Social Ride leaving the Kannally Ranch House at 10am sharp. The ride(s) will be based on folks who show up but will likely range from 8-15mi and 1000-1800 ft of elevation gain. 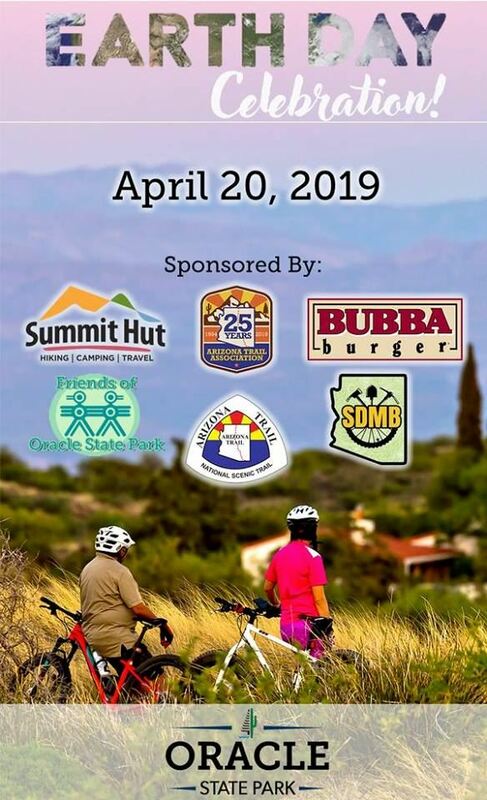 If you haven’t checked out the trails in the state park (including the nearby sections of the AZT) this would be a great time to do so. The Earth Day celebration is also a great family event (see details here: https://azstateparks.com/oracle/events/earth-day-event-at-oracle) so make sure to bring the kiddos and doggos and hang out for the rest of the festivities! Remember that park entrance fees of $7 still apply during the celebration.